Ever Wondered how Google Ranks your website? There is a free web developers tool available for the public to use and provides insights on “techy” stuff that may be slowing your website down! After you Analyse the website Google will provide a recommendation on optimisations and items to address to make the site 100% optimised for its search engine. Alot may be surprised by the results! Just like that in a few simple clicks we have our report, which from here we can see some minor adjustments in images are required. 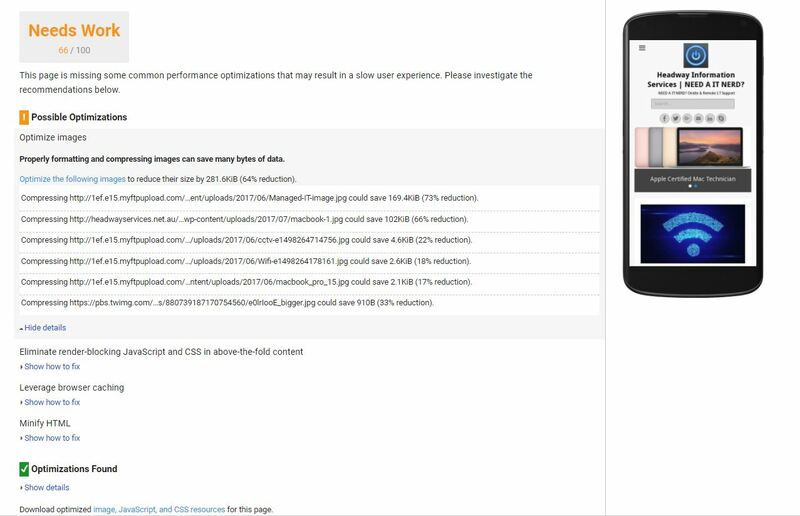 This rule triggers when PageSpeed Insights detects that the images on this page can be reduced in their filesize without significantly impacting their visual quality, thus having a faster website! Next → Next post: Online security – Tips and Privacy Tricks!